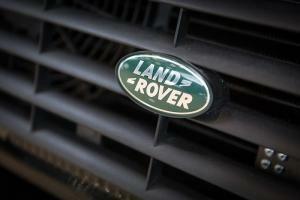 Jaguar Land Rover has been fined £30,000 after one of its workers died at its Mersey plant. Graham Begley, 49, was trapped between two pieces of heavy machinery that he was moving with a crane when he got caught and crushed between them. An investigation by the Health and Safety Executive (HSE) found various failures by Jaguar Land Rover in its risk assessment. Businesses that require the use of heavy machinery - such as car manufacturers and repair workshops - always have a higher risk of employees getting serious hurt or killed while at work. That is why garage owners will require employer's liability cover as part of their combined motor trade insurance policy; this will provide financial protection should a business be hit with large fees following an accident involving a member of staff. Mr Begley's death dates back to September 2011, but the case was only resolved at Liverpool Crown Court on Thursday (10 September). While HSE inspectors said the company had failed in its duty to undertake a suitable risk assessment of the risks its employees were exposed to when moving heavy machinery, Jaguar was cleared of failing to ensure the safety of an employee. Jaguar Land Rover pleaded guilty to breaches of Regulation 3(1) of the Management of Health and Safety at Work Regulations 1999. The company was fined £30,000 and agreed to make a contribution towards HSE costs of £20,000. Mark Dawson, HSE head of operations for the north west, said: “A suitable risk assessment is an essential step in ensuring that the risks arising from work activities are properly controlled. This is particularly important where the work is hazardous and has the potential to result in serious harm.